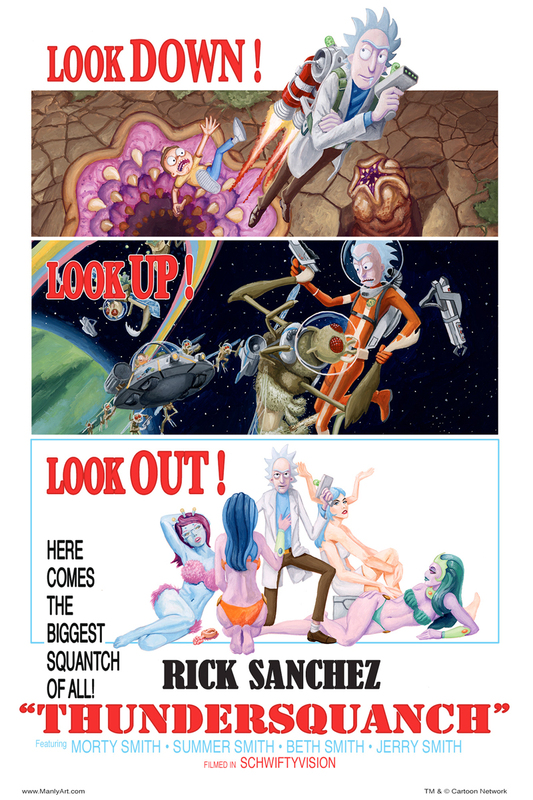 Print I designed and illustrated for the Official Rick & Morty art show. The first signed and numbered edition of 50 sold out in the first week and I was asked to create a variant version of the poster. That has also sold out. Cartoon Network has purchased the rights to the design. Not sure what their plans are for it.